Don't be that guy who torches his home while trying to fry a turkey on Thanksgiving. Every year the American Red Cross warns us that "cooking fires nearly double on Thanksgiving Day." And every year you read a headline like "Turkey Fryer Fire Levels Home." Getting a jump on the holidays, a Florida family in June lost their home after trying to fry a turkey indoors. "Apparently, they were cooking with oil in the garage and the oil got out of hand," neighbor Dewayne Marshtold Local 6 News in Orlando. "It burned pretty hot, pretty quickly." "Things were popping in the garage, like WD-40 cans," added neighbor Tim Cummings. 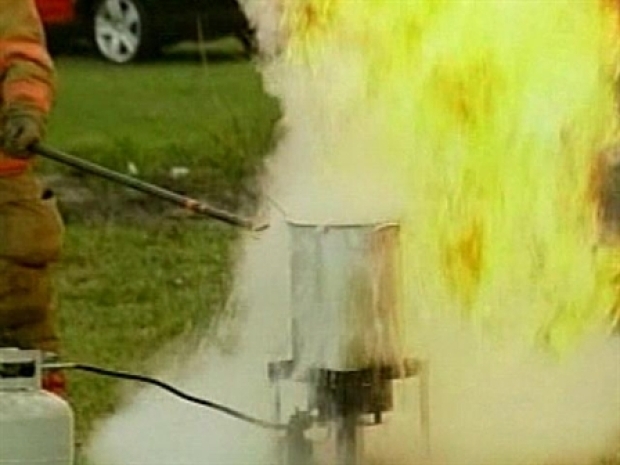 Florida's Broward Sheriff Office recently put on their annual demonstration of what can happen if you don't deep fry a turkey properly, especially if you use a propane gas powered fryer. As delicious as fried, well, anything is, the turkey fryer presents some specific perils. The most obvious danger is the simple matter of having a couple of gallons of boiling hot oil in a bucket. It sits there, silently taunting every passing child or pet, daring it knock over the shiny cylinder of hot, delicious pain. But the most dramatic, incendiary possibility is a good old fashion grease fire. These deadly infernos are often touched off by partially frozen birds that violently bubble over, bringing hot oil in contact with heating element -- kaboom. 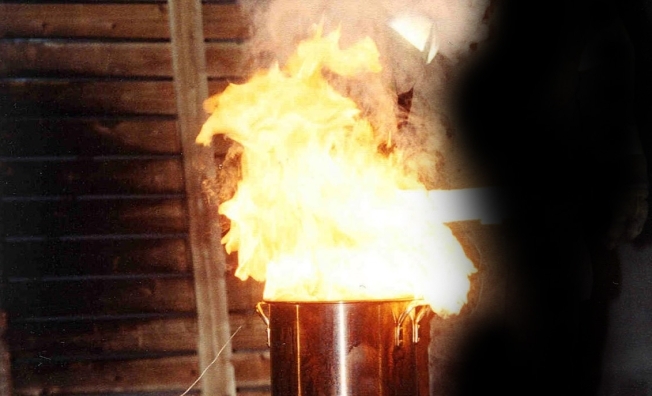 From 1999 to 2005, an average of 19 fires annually were started by turkey fryers, according to the U.S. Consumer Product Safety Commission. With any luck we can get that number down this year.